I saw something on Facebook the other day that took me aback and made me think. Somebody was complaining about having their kids vaccinated and considering refusing to do it. How quickly we, as a people, seem to forget. And at least partly as a consequence, a number we have been proud to see get smaller and smaller through recent generations – the infant mortality rate – has started getting bigger again in this country. According to the CIA World Factbook (2009 figures) the United States of America, the greatest country in the world as we fancy ourselves, ranks 49th in the world in infant mortality, with 48 other countries having lower infant mortality rates than we do. Among the countries with lower rates: New Caledonia (46), Cuba (40), South Korea (25), Andorra (20), Macau (7), and Bermuda (3). The lowest infant mortality rate for a major country is Japan (2). The number of infant deaths per 1,000 live births in the United States is almost three times that of Japan. Many factors affect infant mortality rates in a country – immigration, diet, availability of affordable health care – but high among them is the prevalence of childhood vaccinations against major communicable diseases. And even within my lifetime, these childhood vaccinations have saved literally millions of lives in this country alone. When I was a child (in the 1940s), for example, polio was one of the most frightening diseases still rampant. In 1950 alone there were more than 20,000 new cases of polio in the United States, many of them fatal, and far more of them crippling for life. We all knew about iron lungs, about leg braces like those worn by the children in the polio posters. We all knew somebody personally who had been crippled by polio. Then came the Salk and Sabin vaccines, universal use of them, and the virtual elimination of polio in the country. The same story, with variations, occurred over and over as one disease after another was fought and vaccines developed. Generations of new parents came along (like me and my wife) who could reasonably expect their babies to live and grow up. This is a recent phenomenon historically. 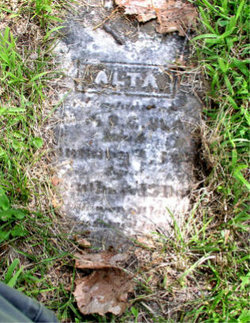 Alta Blair died 3 months. For millennia humans have had to face the truth that infant and child lives were fragile. 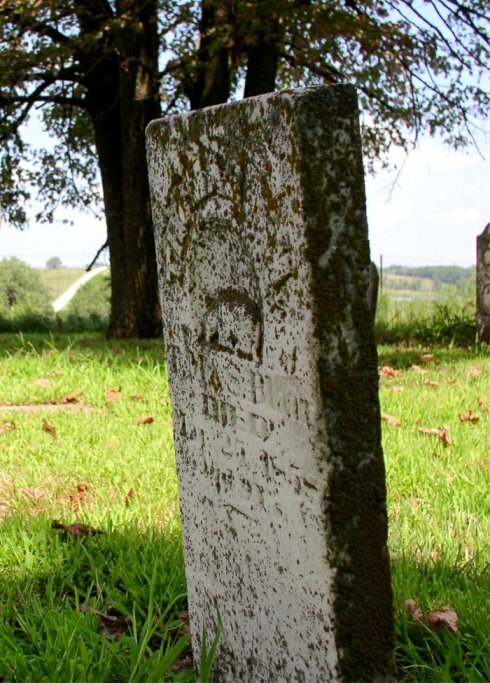 Infant death was so common that most infant and child burials were not even marked in cemeteries. To achieve the large families needed for an agricultural system dependent on muscle power, on a limitless supply of hand labor, people procreated as rapidly as was physically possible. I have one great-great-great grandmother who gave birth to 22 children in the early 19th century (six of whom died in childhood). Most of my ancestors 100 years and more ago typically had from six to twelve children, and this was the norm for nearly every class of society. 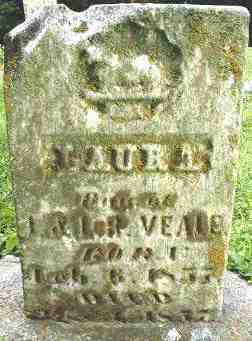 Cora Temperance Veale died three years nine months. Houses were jampacked with people, even more so since typical houses prior to the latter 19th century were very small, consisting usually of only 2-4 rooms. Just consider a typical log house on the American frontier 200 years ago. People were literally in each other’s faces 24/7. Consequently, communicable diseases spread like wildfire. 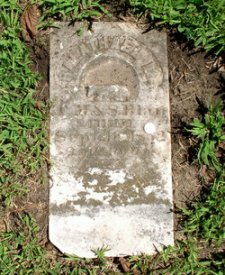 Plagues such as a couple of my great-great-great grandparents died of in 1820 were a real possibility. Laura Veale died nine months. And the death rate among the children was particularly tragic. Another example from my family: in the winter of 1883-84, in a two-week period centered on Christmas Day, my great-grandfather William Patterson Veale and his wife Ruth lost three of their five children to diphtheria – all of their daughters, ages 6, 4, and 1. They must have been devastated – scarred for life emotionally, even though they went on to have seven more children. Later in life Great Grandpa Billy lost two more daughters, these to tuberculosis, one of them my grandmother Tempie. 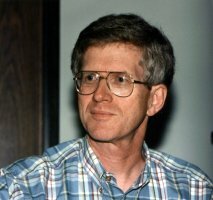 Salathael Blair died two years. And now some parents – people many of them with college educations and good incomes – are seriously defending having their babies skip their DPT (diphtheria, pertussis [whooping cough], and tetanus) vaccinations for reasons varying from thinking the risk of side effects is greater than the risk of infection to thinking the government should stay out of their lives. Ask me what I think of this. Or just guess, considering my family history. As for tuberculosis, that one isn’t even whipped yet. There are still millions of deaths worldwide from TB, some of them in this country. And strains have appeared that are resistant to ALL antibiotics. The bottom line – as the saying goes, people who don’t learn from history are doomed to repeat history. With two young granddaughters to love, I don’t like that prospect at all. And the more people neglect simple preventive healthcare, such as infant vaccinations, the more children get sick, and the more likely it is my own loved granddaughters will be exposed to potentially fatal or crippling illness. There it is – my motives are selfish. But that kind of selfishness, broadly applied, can save millions of lives. 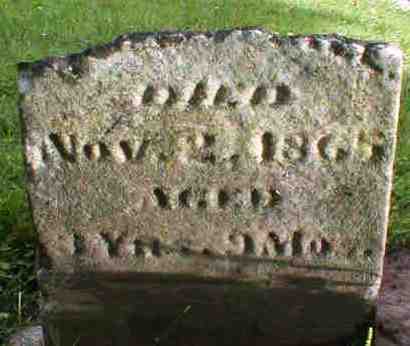 Above: Thomas Blair died nine years old.